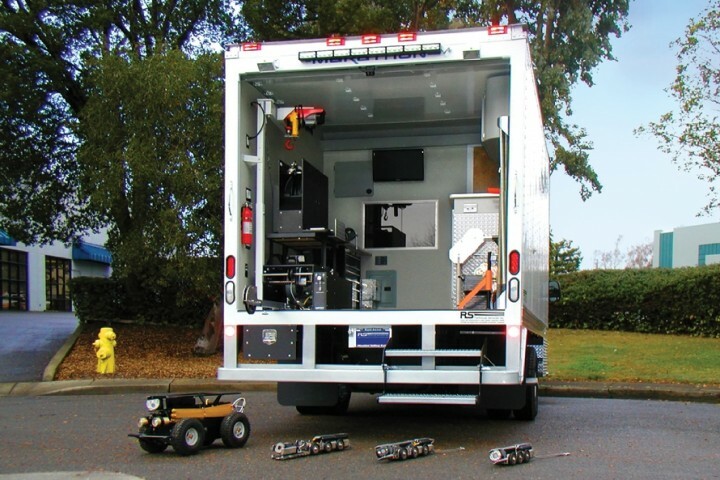 The smart choice for today’s pipeline contractors and larger municipalities alike—the inspection system features cutting-edge, single conductor technology, while the high cube van installation is customizable to each customer’s needs. Our true “plug and play” components can be added onto existing systems, without the need for additional system controllers or upgrades. Cameras, transporters, lateral launchers, cutters, laser profilers, etc. can all be easily and precisely operated on one single conductor. Longer inspection runs, smaller diameter cable, greater cable strength, and superior warranties all come standard with our equipment and vehicle builds.